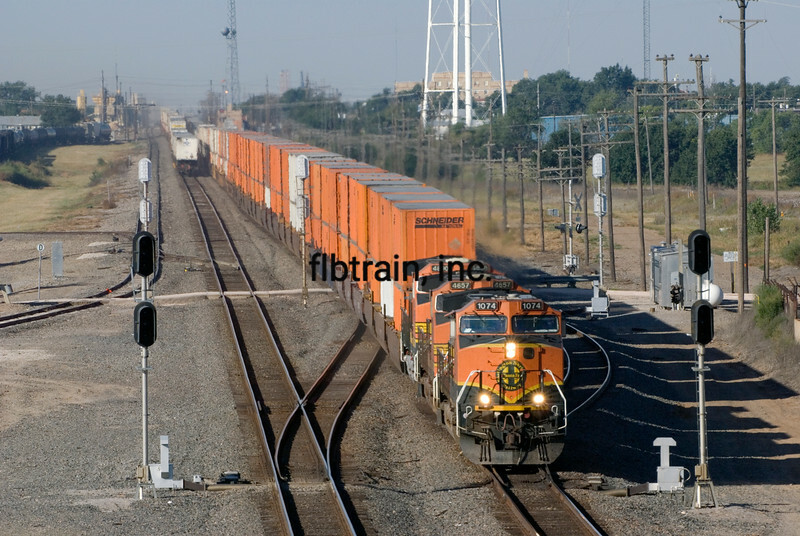 A BNSF double stack east, led by 3 C44-9Ws 1084 + 4657 + 4840, meets westbound trailers. The trains are running left-handed today. Typically the westbound will be in Amarillo in about an hour. Pampa, TX, 9/27/2008, 9:40 am, MP 498.7.